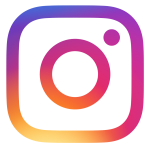 You can help us raise awareness of OA–and share how to prevent it–by posting to your social media channels and following ours. 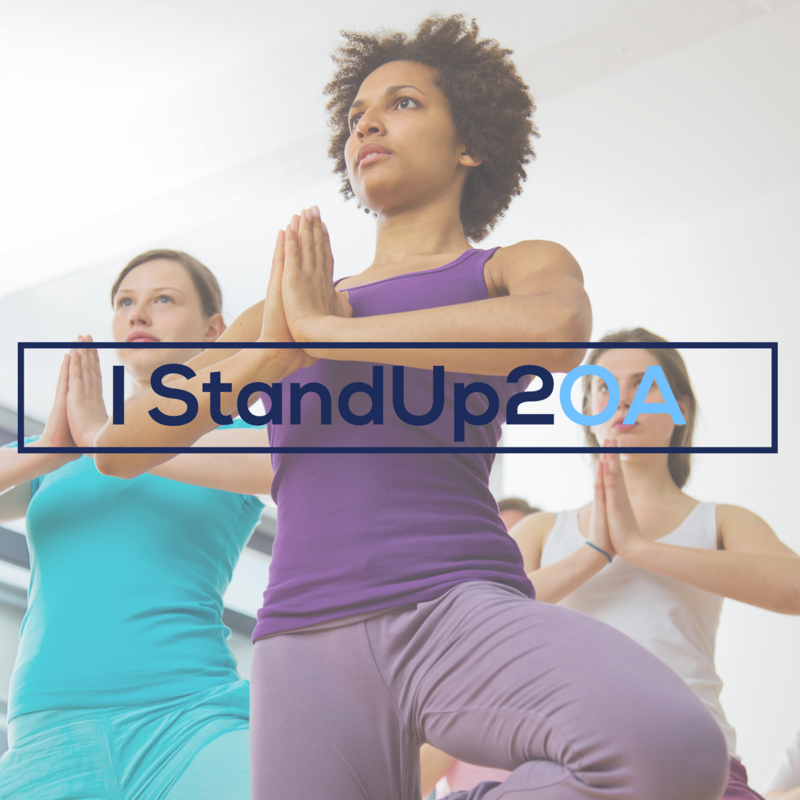 Use #StandUp2OA in your posts (or our pre-written ones) to tell your friends and family how you prevent osteoarthritis. Follow us on Facebook, Twitter, LinkedIn, and Instagram to stay up to date on the latest news and connect with other advocates for osteoarthritis prevention. Copy and paste the text below onto your preferred social media channel to spread our community’s message. 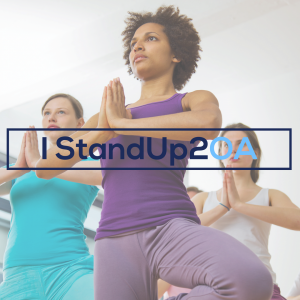 Follow and engage with us to be a part of our #StandUp2OA community. Get information and updates from @oaactionallianc. Tag us in your posts and use the hashtag #StandUp2OA. If you are not comfortable tweeting on your own, you can use our pre-written messages or you can retweet our tweets. Like us on Facebook for more information and updates on how you can StandUp2OA. Don’t forget to tag us in your posts about how you #StandUp2OA! Connect with us on LinkedIn so you can receive both our organizational updates and information about the campaign. 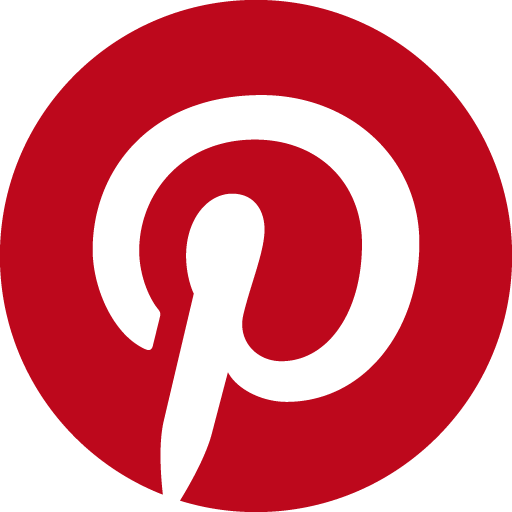 Pin with us on Pinterest and follow our boards. 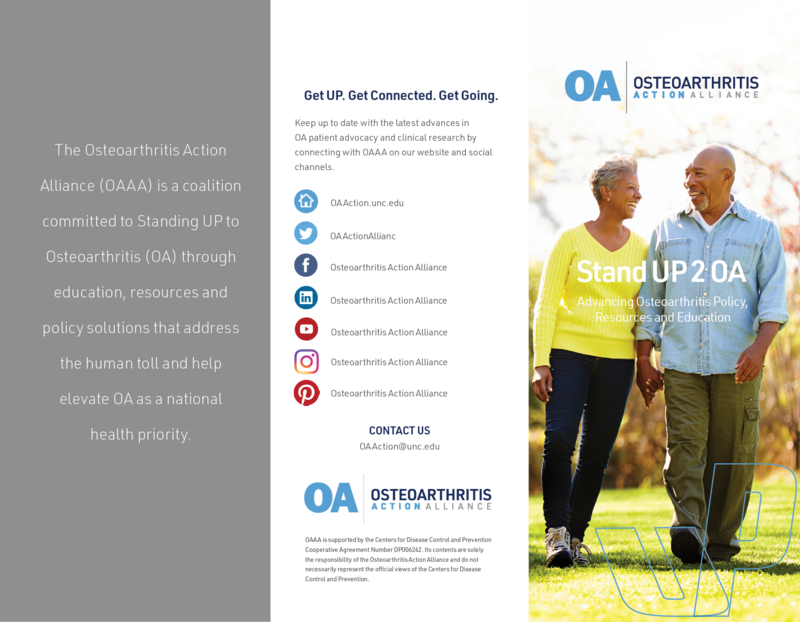 Connect with us on Instagram @osteoarthritisactionalliance and tag us in your photos showing how YOU #StandUp2OA. 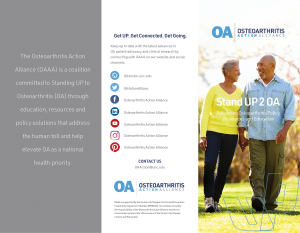 Subscribe to our StandUp2OA newsletter to stay in the loop about preventing osteoarthritis. Its contents are solely the responsibility of the Osteoarthritis Action Alliance at UNC or Thurston Arthritis Research Center at UNC.